Filing Bankruptcy with too much property? If you or someone you know is thinking of filing bankruptcy, the value of the property that one has must be ascertained. If you have very little property and if the market value is low, you will more likely than not be eligible for a chapter 7 fresh start bankruptcy filing. If, on the other hand, you have assets that exceed the state of Illinois exemption amount, then you will likely file a chapter 13 to protect your property as opposed to losing it to a chapter 7 trustee’s liquidation. I recently met with a man in my office who was married but his wife was not present at the consultation. There were two particular items of property that concerned me. 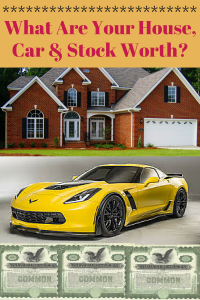 The first item was a paid in full vehicle and the second was a specific amount of stock which was not protected in any kind of retirement account. My concern after talking with the potential client was that the value of the paid-up vehicle was going to be approximately $20,000 and the stock was going to be closer to $6000. I sent him home to find out the specific value of those two items. What we found out, took him out of the realm of chapter 7 because the assets had excessive value beyond the Illinois state exemptions. For example, the vehicle that we thought was worth approximately $20,000 turned out to actually be less than that. In fact, the vehicle valued out at approximately $9000. However, the stock that we valued at $6000 had an actual value of $26,000. The debtor at the time of the consultation did not have the exact amount of shares of this particular stock. We knew what the value of each share was but we simply did not have a definitive number of shares at the time. Well as it turns out, he had over four times the shares that he thought he had. For this reason, he would no longer be able to do a chapter 7 and protect the property. 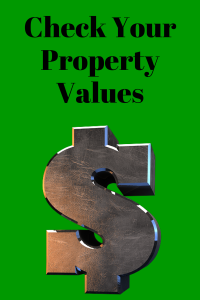 Valuing your property before Bankruptcy. The take away from this story is as follows: if you are struggling financially and you are considering filing for bankruptcy, take a few minutes and do a quick inventory of your property. For vehicles, you can easily find the value of the vehicle at kbb.com or nadaguide.com. With regard to stock, you simply need to look on a previous financial statement to determine how many shares you possess. You can then check online for that stock symbol to see what it was recently traded at. For homes, you can go to zillow.com to find an approximate value of your home as well as the other homes in your general area. If you take the time to do this quick homework, your bankruptcy attorney will have all the information needed to determine which chapter the bankruptcy code is in your best interest. 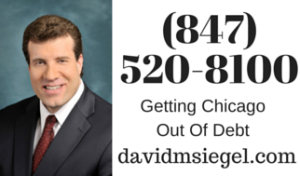 If you have questions concerning bankruptcy and whether or not your property is protected under Illinois law, you can contact my office for a free, initial consultation. We will make every effort to assist you, guide you, educate you, and empower you in making the wisest decision during this difficult financial time.